I think its not too late to say, "HAPPY NEW YEAR 2013", good people !! So, hows your New Year Eve ? Mine was so lame. But, I would like to say thank you very much to my dear God, because He made amazing 2012 for me. 2013, I wish it will be my year. There is no many resolutions, I just wish my final project is going to be good, I am going to graduate this year, get the job after I graduated, and making a tons of portofolio. And then, what's your resolutions ? 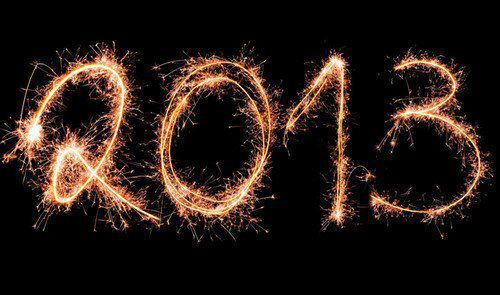 Whats your dreams that you want to happen at this 2013 ? Whatever is it, I wish we get more incredible 2013 than our 2012.
hope everything will be fine this year. happy new year yol ! waduh ini tulisan terakhir kamu yol?